Long beans in a saucy dish of tomatoes, smoked paprika, garlic and shallots. You know how some women can spend hours at Nordstrom or Bloomingdale’s? I could totally lose track of time inside Berkeley Bowl. With two locations now in Berkeley, this incredible grocery store has one of the most far-ranging produce departments imaginable. 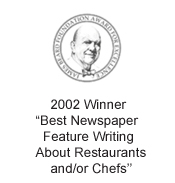 It’s the only place I found a few years ago that carried ramps, that East Coast darling of ingredients beloved by chefs. This family-owned store was established in 1977 by Glenn and Diane Yasuda. He hailed from a family of Southern California farmers; she came from a long line of grocers. At a time when supermarkets mostly bought from large distributors, the Yasudas championed small farmers from the start, sourcing from them directly to fill their store’s produce bins. The more unusual or exotic, the better, too. In fact, in 1987, David “Mas” Masumoto was on the verge of giving up his Suncrest peach farm because there was no market for the intensely flavored fruit because they bruised easily, and thus, could not be shipped easily nor stored for long periods. But Glenn Yasuda saw their value, and started buying them, helping to save the Masumoto farm. 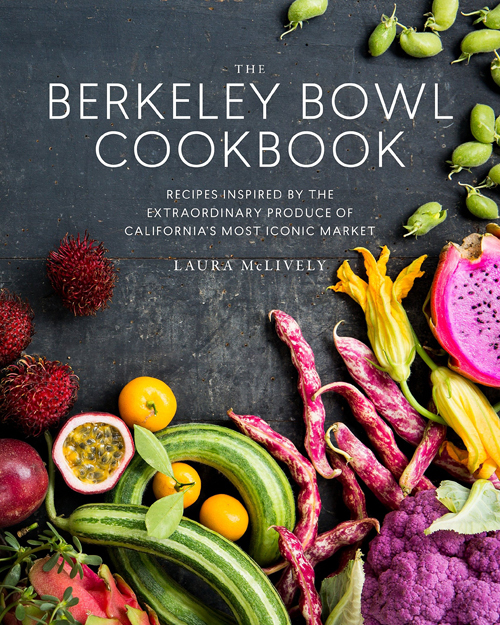 You’ll learn all of that history in the new “The Berkeley Bowl Cookbook” (Parallax Press) by Laura McLively, a registered dietitian and food writer in Oakland, with photos by Berkeley’s Erin Scott. McLively grew so fixated on the incredible wealth of produce she’d find at Berkeley Bowl that she started the blog, “My Berkeley Bowl,” to chronicle her experiences cooking with the array of fruits and vegetables she’d buy there. That, in turn, led to this cookbook, which spotlights produce items found at Berkeley Bowl in straightforward recipes that are largely vegetarian (i.e. 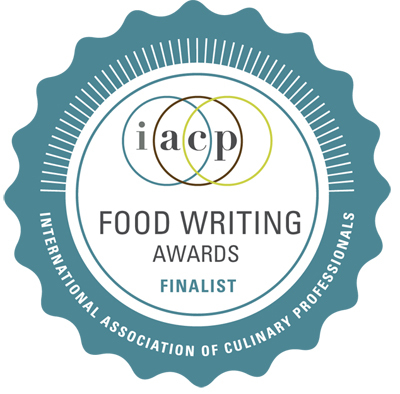 meats are not an ingredient, but things like Worcestershire sauce are). For each produce entry, she also lists its peak season, advice on how to select the best, how to store, and what to substitute if it’s not available. 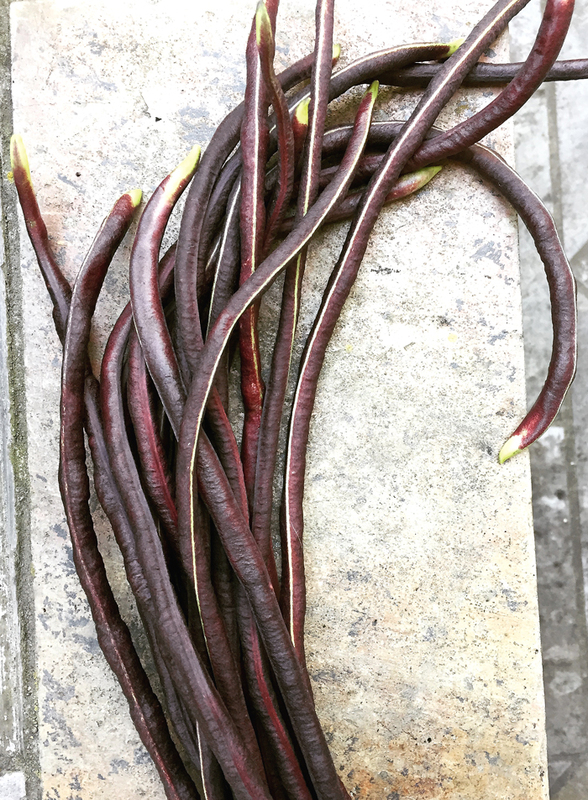 I decided to try my hand at “Smoky Snake Beans.”As McLively notes, they are available year-round at Asian markets or farmers markets, with the peak time being summer and fall. Purple long beans from the farmers market. I usually buy mine at a local farmers market stand. 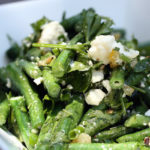 Usually, the long beans are emerald colored. Sometimes, they are a more pale green. And once, a month ago, I found some that were a beautiful deep purple. 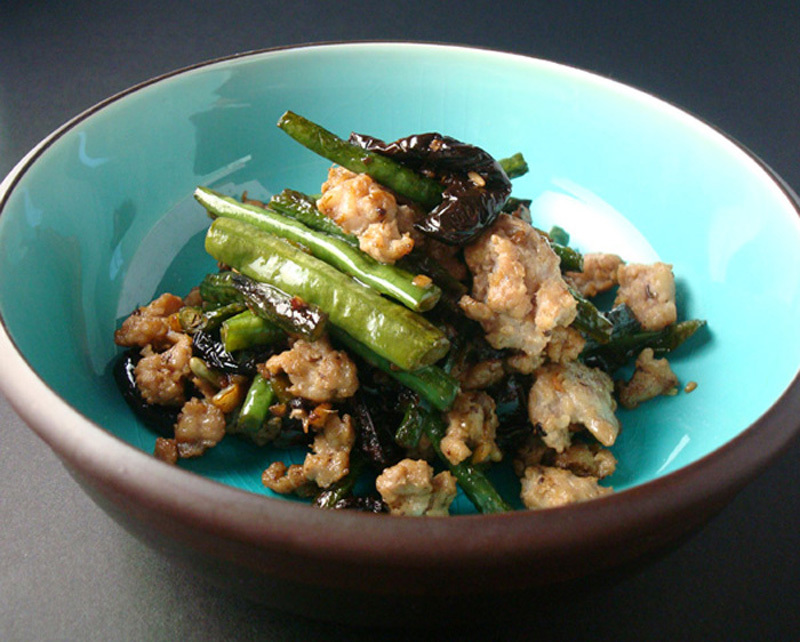 I’ve cooked with long beans, also called snake beans or yard beans, often. 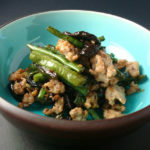 Usually, they end up stir-fried with Asian ingredients or simply sauteed with garlic and preserved lemon. In McLively’s recipe, they get cooked with tomatoes, smoked paprika, ginger, garlic allspice, balsamic vinegar, and Worcestershire sauce. 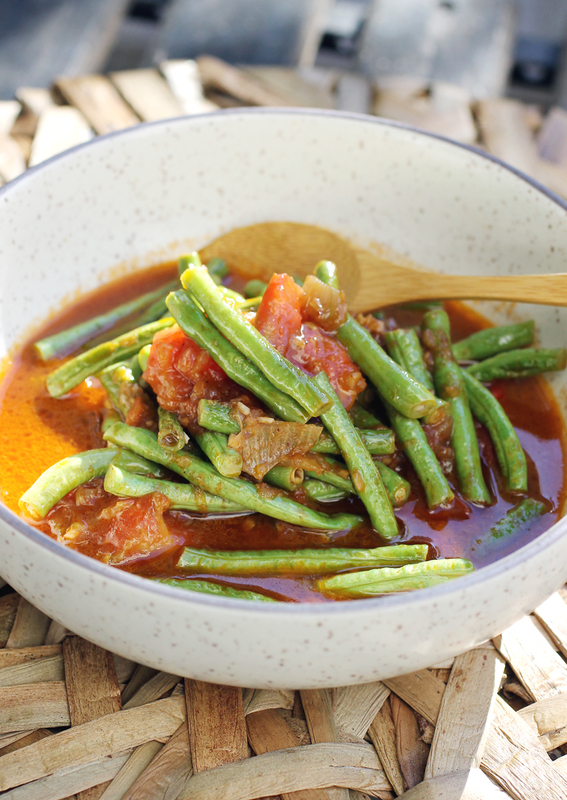 It makes for a very saucy dish of tender, squeaky long beans that just begs for something to dunk into the sauce. McLively recommends eating it with cornbread or rice. Grilled bread would be another great accompaniment. Or pour it all over pasta. She likens the taste to Southern barbecue. It has a little of that going on, plus a whole lot of Spanish flair. 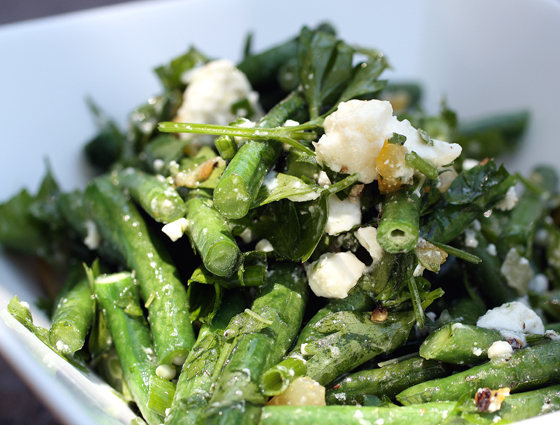 If you can’t find long beans, you can use okra or green beans for this recipe, she notes. Or heck, just take a trip to Berkeley Bowl for them. And don’t be surprised if you end up mesmerized for hours. To make the sauce, heat 3 tablespoons of the olive oil in a large skillet over low heat. Add the shallots and allow to cook slowly for about 15 minutes, stirring occasionally until very soft and caramelized. Increase the heat to medium and add the garlic and ginger; saute for 3 minutes. Add the allspice, red pepper flakes (to taste), paprika, and tomato paste and saute for an additional 1 minute to release the flavors. Stir in the vinegar, Worcestershire sauce, water, and sea salt and bring to a simmer for 1 minute. Pour the sauce into a food processor or blender and blend until smooth. Heat the remaining 1 tablespoon of olive oil in the same skillet over high heat. Add the snake beans and stir-fry for 3 to 5 minutes, until just tender, but still cheewy. Add the tomatoes and stir-fry for 1 additional minute. Pour in the sauce and simmer for 3 to 5 minutes to allow the beans to soak up the flavors of the sauce. Serve hot with cornbread or steamed rice. The Berkeley Bowl sounds like a great place. 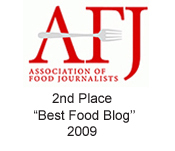 I can spend hours in good food markets, too! 🙂 And what a neat recipe — the allspice is a bit of a surprise to me for some reason, given the other ingredients. Sounds good — thanks.